The Athens Cultural Affairs Commission is pleased to announce the winners of the 2019 Arts in Community Grant competition. Classic City Wax: Vol. One (a local hip hop compilation LP), LatinxFest, and the Athens Rising: Panel Series will each receive a $1500 grant. This is the sixth year Arts in Community Grants (AICG) have been offered by the Athens Cultural Affairs Commission, an appointed body of the Athens-Clarke County municipal government which strives to foster the development and enjoyment of performing, visual, cultural and other arts in the Athens community. Classic City Wax: Vol. 1 will be Athens, Georgia’s first vinyl compilation focusing exclusively on performers from our vibrant hip-hop community. This recording would serve as both a time capsule of the current local hip-hop scene and also as a free promotional item elevating the profile of local hip-hop music beyond our local scene in an extremely competitive regional and worldwide context. Held in September during Latinx Heritage Month, LatinxFest celebrates the diverse cultures of Central and South America and serves as recognition of the cultural, social, and economic contributions of the local Latinx community. The festival will be on Washington Street in downtown Athens, free, and open to all. 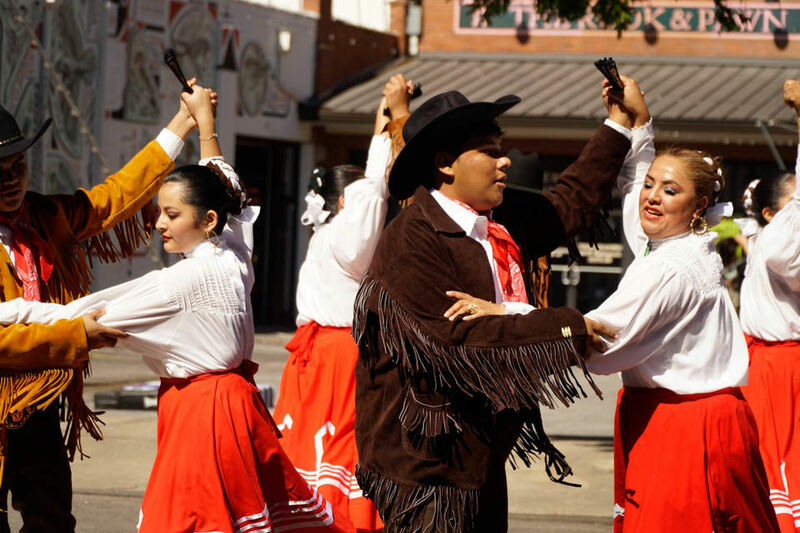 There will be live music, local art, traditional dancing from across the region, kids’ activities, and a wide array of homemade and authentic recipes hailing from Mexico, El Salvador, Peru, and Argentina. In late July, local filmmaker James Preston will be holding free screenings of his Athens Rising film series at Ciné, accompanied by panel discussions. The Athens Rising series (deemed “the best documentary about art in Athens since Inside/Out” by Andrew Shearer of Athens Banner-Herald) showcases local artists and organizations and their work in our community. For more information about our annual grants or recipients, please contact us at info@athensculturalaffairs.org.